Hello again. 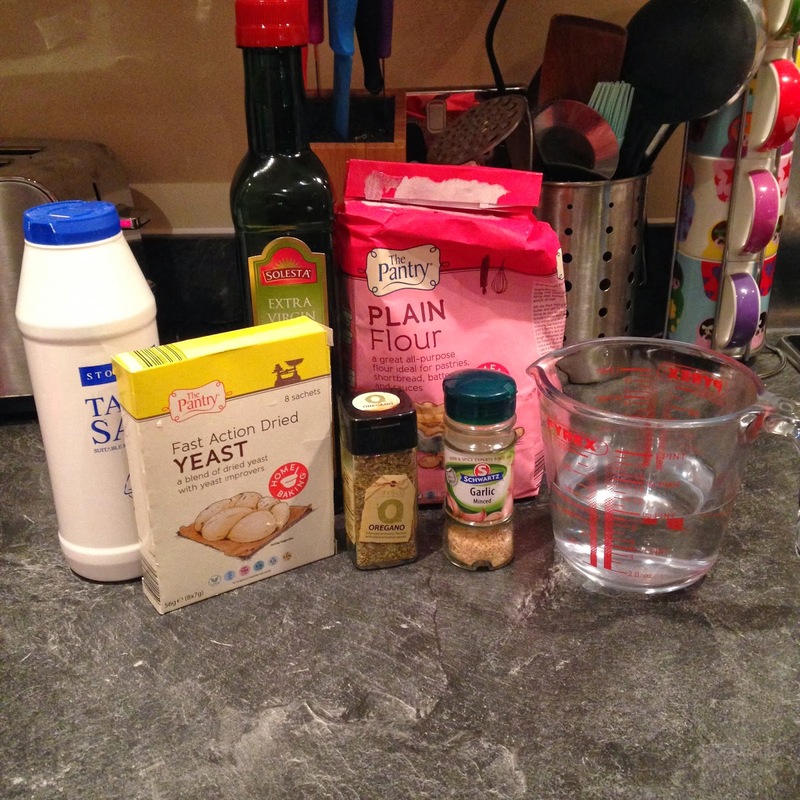 This week my baking skills have been put to the test with the challenge of baking some bread. 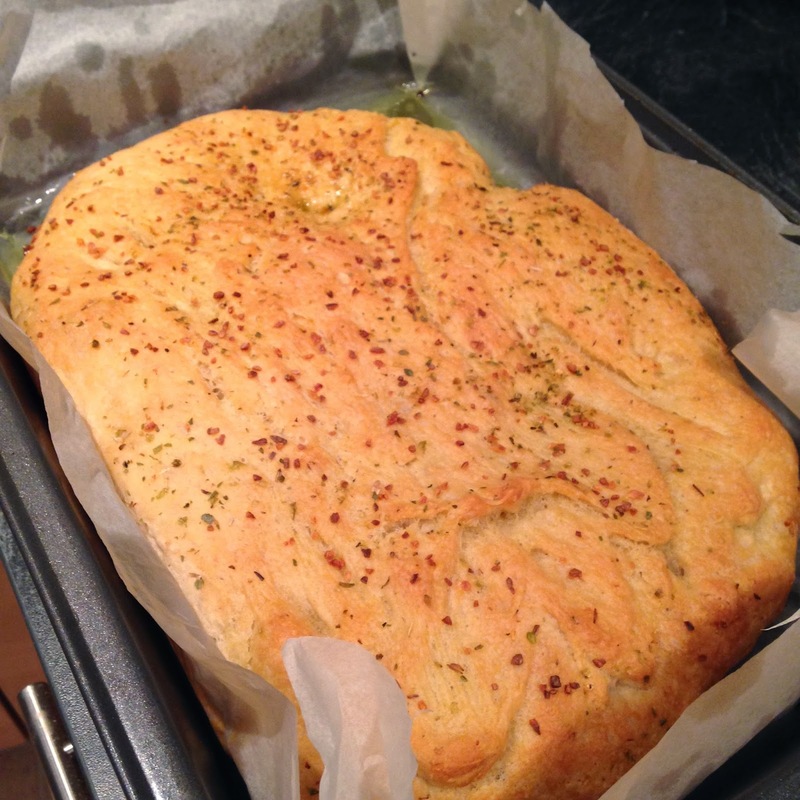 I do not enjoy making bread, although I love the end result. 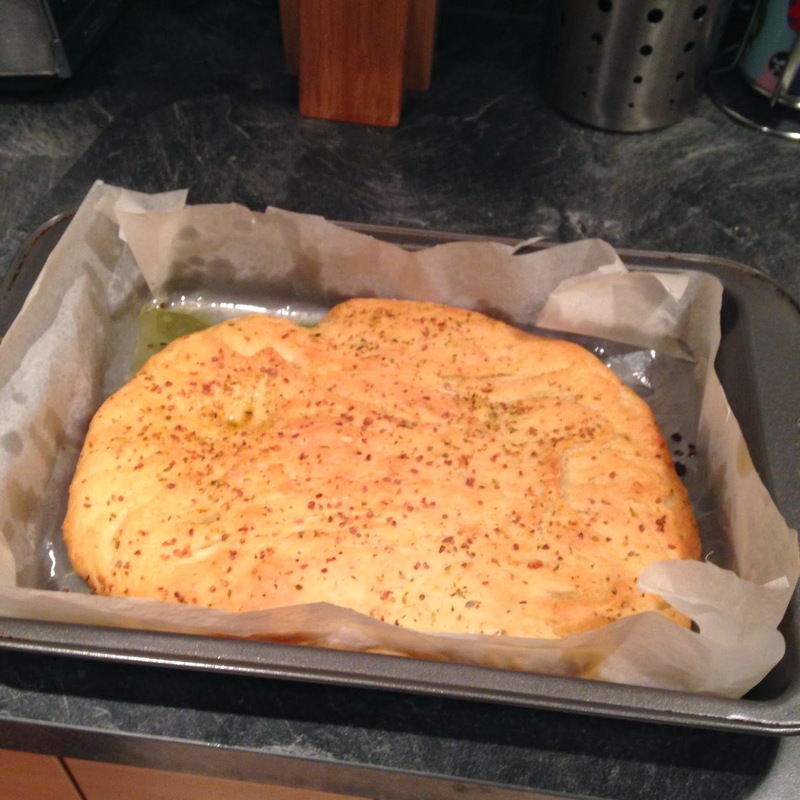 After last week's post, kind reader Sabrina suggested that I might get on with this recipe for no-fuss focaccia. And I most certainly did! For the first time this year, I had all the ingredients already in my cupboards. This boded well I thought. Mixed up with the water. I think it could have used more water, didn't seem loose enough really. Next I was supposed to drizzle olive oil into the bottom of the greased and lined tin. 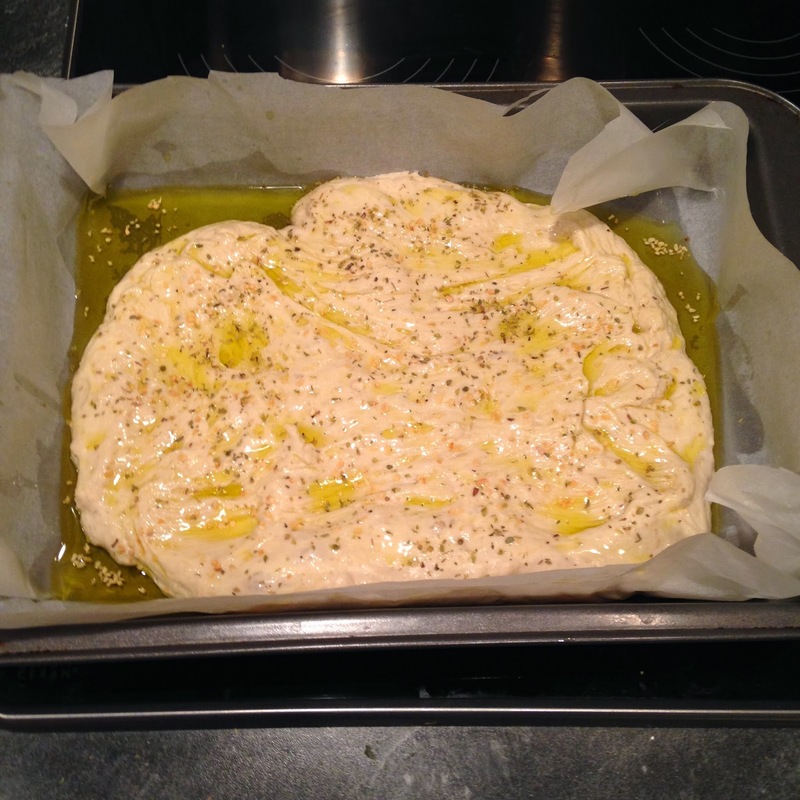 I did a bit more than drizzle, and ended up with a big puddle of olive oil. I soldiered on. 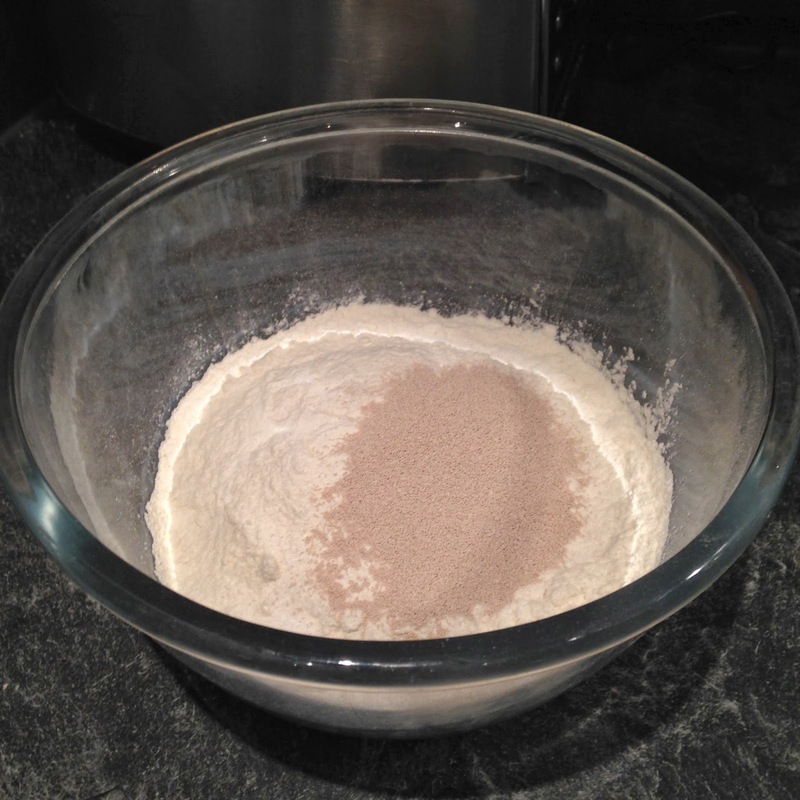 After leaving the dough in my airing cupboard for an hour it looked like this. Promising I felt. Ah, then a slight problem became apparent. The recipe said to poke dimples all over the bread, but I couldn't do this as the dough simply clung onto my finger for dear life. 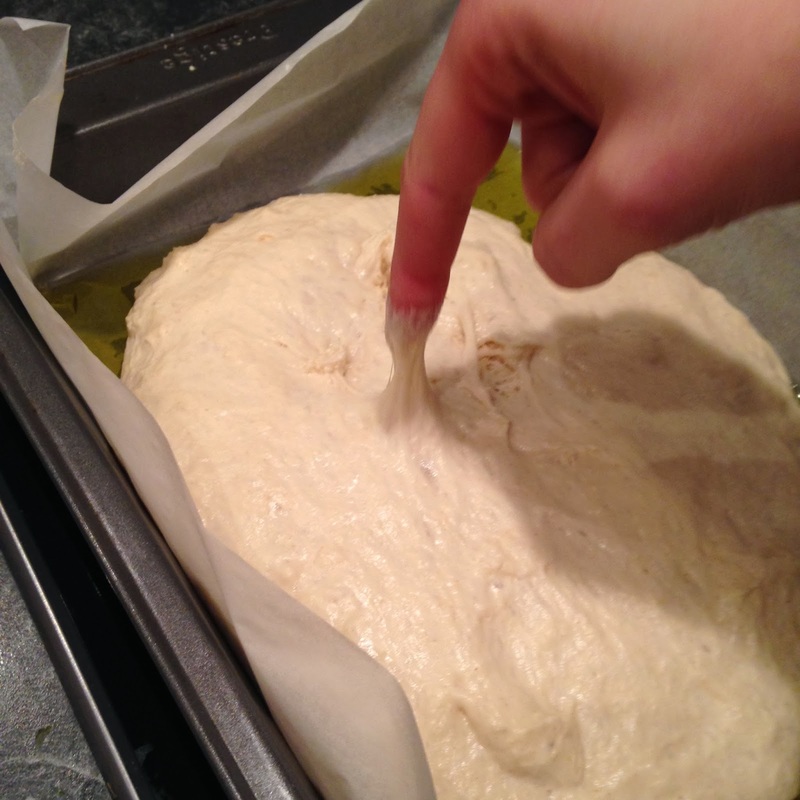 I eventually worked out that I could do it using the handle of my pastry brush. 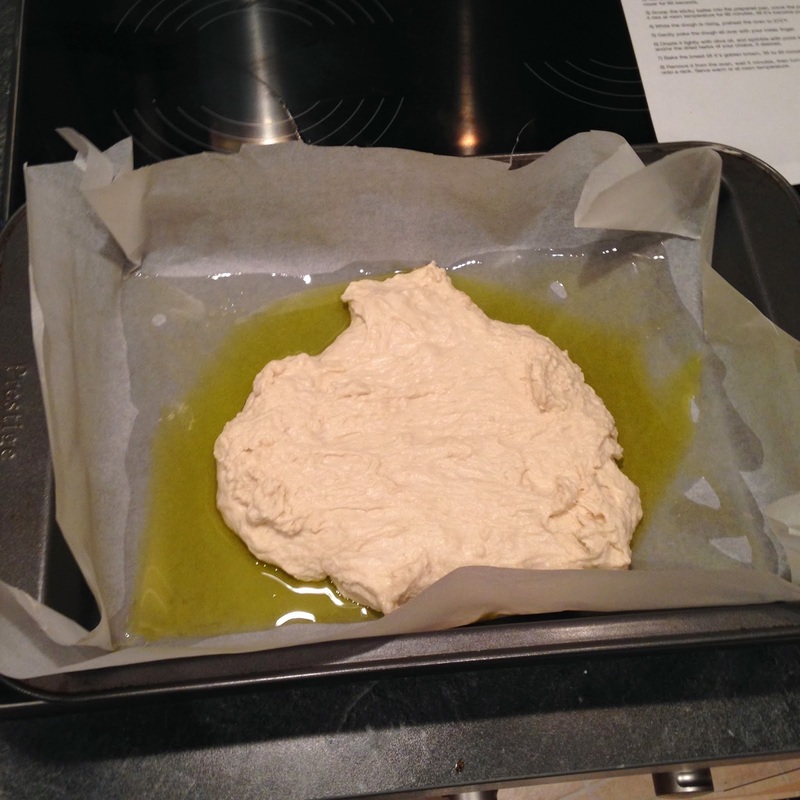 Then I drizzled (read poured) on yet more olive oil and sprinkled it with oregano and dried garlic. Looking good, but I think it should have spread out to the sides a bit more. Out of the oven and looking great. Could it be that I had finally overcome my bread curse? Well, yes and no. On the plus side, it tasted fab and had a good texture (what Paul Hollywood would refer to as a "good crumb"). 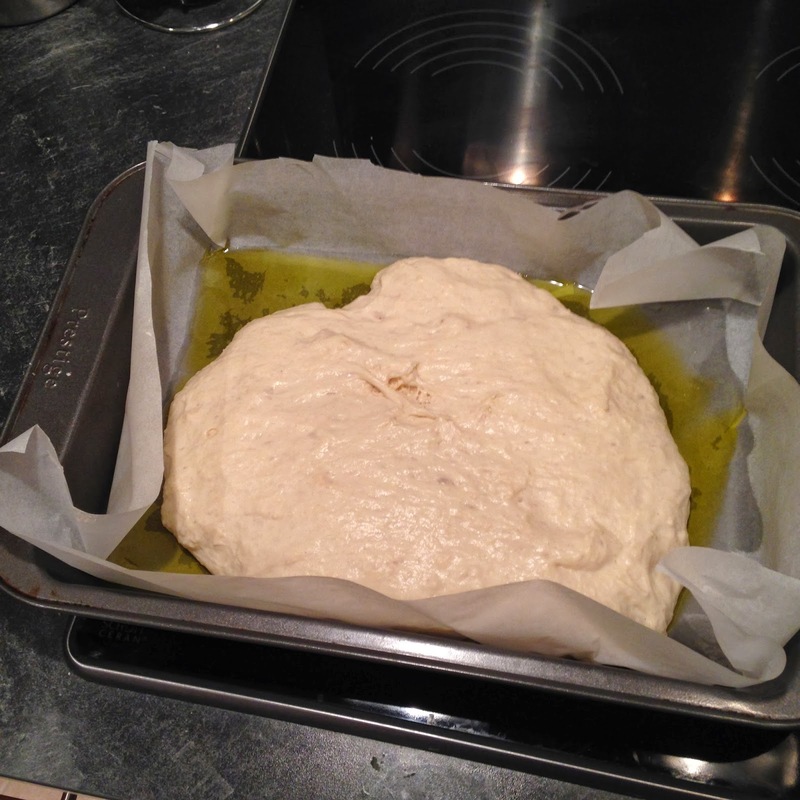 On the not so positive side, the excess oil had caused the baking paper to become welded to the underside of the loaf. We had to choose between eating some extra fibre in the form of baking paper, or peeling off the bottom crust completely. 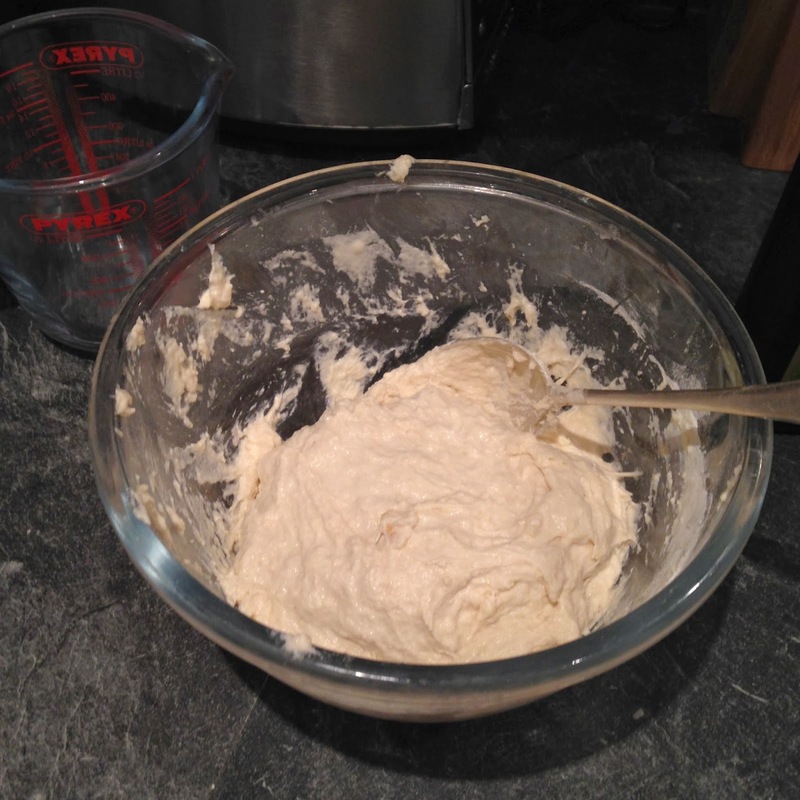 So there you have it, I'm not completely useless when it comes to baking bread, just partly. Next week - chocolate! Should be a good 'un.